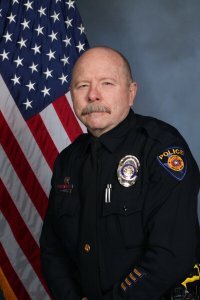 "It is with heavy hearts that the Round Rock Police Department announces the passing of Officer Charles Whites on April 27 at Hospice Austin Christopher House. Officer Whites died from injuries sustained on Feb. 25 when he was struck by a vehicle while directing traffic around the scene of an auto-pedestrian fatality on IH-35 in Round Rock. Officer Whites served the community for 19 years as a Patrol Officer, Field Training Officer, and SWAT Negotiator. He is survived by his wife and step-son."